If you feel like you’ve gotten in a rut with your cardio workouts, trail running is a perfect way to mix up your routine. Trail running provides all the benefits of an intense cardio workout without the monotony of road or treadmill running. Even better, trail running allows you to get outdoors away from cars, buses, trucks, bikes, and other obstacles you find on the road. You may even be well rewarded with a great view from the top of a mountain or glimpse a spectacular waterfall. While running on roads or a treadmill is easy and convenient, it’s not uncommon to fall into the same routines and routes. Going off-road opens up a new world of places to run. There are different types of trails for all experience levels. Flat, wide, dirt trail are great for beginners. Hilly hiking trails add elevation for a more challenging workout. Narrow single track trails dip and wind, providing a change of scenery at every turn. Unlike road or treadmill running, you’ll be less likely to need music or TV to pass the time. It’s hard to get bored when your surroundings change at every turn. Trail running offers variety that you just can’t find on roads. 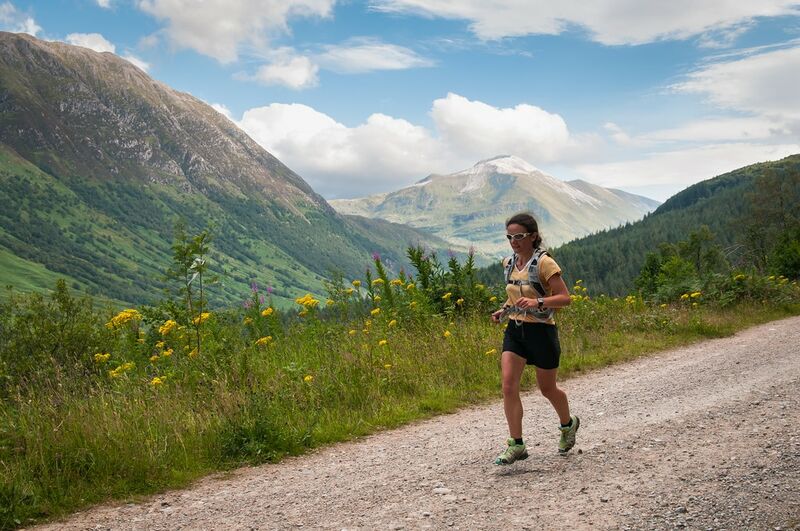 Trail runners also tend to be more engaged with their surroundings than road runners. When you are constantly scanning the ground for obstacles and looking for trail markings, you can’t help but stay in the moment. It’s nearly impossible to maintain the same pace on trails as it is on the road or treadmill. Running on dirt decreases your pace and the constant adjustments made to avoid obstacles on the trails further slows you down. When you know you’re running slower than normal, you no longer need to worry about hitting a specific pace or mile split. It’s liberating to no longer worry about whether your pace is too slow or fast. Or if your weekly training run pace has dropped. Even the distance you run isn’t as important. An hour running on trails, even if it’s a third the distance you might run on roads, is just as good of a workout. As you start running on hillier trails, steepness dictates your pace. Often, it’s more efficient to power hike the hills instead of trying to charge up a steep incline. Once you get out of the mentality of running all the time, it’s actually a good thing to power hike. It gives you a break and a chance to recharge. You’ll be able to run longer than you ever have before. If you go trail running on a regular basis, you’re much less likely to suffer common, repetitive use injuries like runner’s knee, shin splints, or achilles tendinitis. The regularly changing terrain and soft, dirt ground limits the amount of pounding your muscles and joints take compared to the road or treadmill. And unlike road running, your body makes small adjustments to your running stride as the terrain changes underfoot. As a result, your body doesn’t experience the same, repetitive stress as it does on the road. That’s not to say you won’t get hurt. Trail runners are more likely to suffer scrapes or cuts from minor falls. These types of injuries are usually easier to recover from. Unlike achillies tendonitis, a scraped knee isn’t likely to keep you sidelined for weeks at time. Like road running, trail running doesn’t require a lot of gear or expertise to get started. You can wear the same running shoes and clothes you wear on the road. If you regularly run on a treadmill or on road in places with access to water, you might want to bring along a handheld water bottle or waist pack. Out on the trail, the only food and water source you’ll have is what you bring with you. The other key piece of gear you’ll need is a map of the trails. It’s easy to get turned around in the woods – and taking the wrong trail can turn a 5 mile run into a 14 mile slog. As you gain experience on trails, you will find an advantage in getting trail-specific gear. A pair of trail shoes offers superior traction on dirt and mud as well as protection from rocks, roots, and other sharp objects you’ll encounter on the trail. 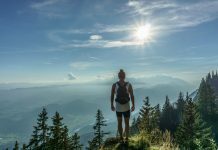 A good trail watch (http://thewiredrunner.com/best-trail-running-watches/) will give you extra navigation features like an altimeter, compass, and basic breadcrumb map. And a hydration pack provides plenty of water, food, and gear storage. Besides saving yourself the hassle of trying to figure out where you are mid-run, you’re much less likely to get lost if you plan out your run. You’ll also be much less likely to miscalculate the distance or difficultly of your run. While not every trail network has cell service, if the trails you’re running do, it’s a good idea to bring your phone. Not only are there some cool map apps (https://www.avenza.com/avenza-maps/) out there, but if you end up hurt or lost, you can use your phone to call for help. Because most trails are secluded, it’s a good idea to notify a friend or family member where you’ll be and how long you think you’ll be gone. If something does happen, they’ll know where to start looking for you. Hopefully, you’re inspired now to get out there and start exploring your nearby trails. You never know, you may catch the bug and start trail running full time.